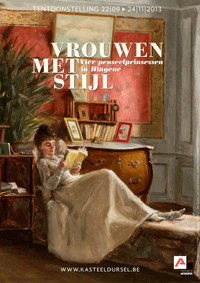 I read this for a new book club being set up by a friend of a friend in Brussels. The first meeting is tonight and I am looking forward to it. The first selection was this recent novel by Jodi Picoult. I've read many of Picoult's books and generally enjoyed them. She is a talented writer who knows how to put together a compelling story usually involving a moral dilemma, with believable and well detailed characters, and a plot that moves along quickly. However, after a while, the books seemed to be all a bit similar to me, and I tired of them. Fortunately, The Storyteller is a big departure from Picoult's usual novel formula, so that in itself was interesting to me. This book is actually five stories or viewpoints woven into one novel and at times it felt like the stories each deserved a full novel by themselves rather than being intertwined into this one book. There was a lot of information spilled on the reader at the beginning of the novel and at times, this felt overwhelming. The different stories are given extra emphasis by different typesetting, which is necessary to help the reader keep everything straight. Once you get past the initial bombardment of information in the beginning of the book, the plot gets moving and Picoult succeeds in putting together a moving story about the holocaust, as well as a thriller about the hunt for an ex Nazi, combined with a bit of moral examination of the possibility of forgiveness. Does it sound like there was a lot to take in in this book? There was. In my opinion, it tried to do too many things at once, and left a lot of potentially interesting territory unexplored, not to mention many side characters that seemed neglected (Sage's sisters) or even worse, just window dressing, like the bakery assistant who spoke in haikus (why did we need to know this? This is never made clear.) 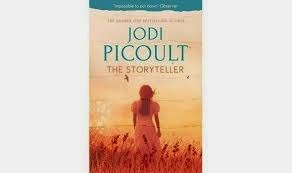 So, another best seller for Jodi Picoult, but not one of her best, which is a shame, because the subject matter deserved more. I agree that not all of Picoult's books are worth the read. I also liked her newest one about elephants because I found the research about the elephants so fascinating. Thanks for stopping by, Andrea! I will have to look for the one on elephants, sounds fascinating!